A vitamin deficiency can be caused by the lack of certain vitamins and minerals in your diet - eating too much junk food. Or that your body just can't absorb them properly. 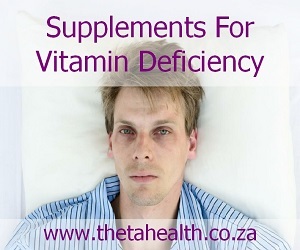 To help you should seek the advice of a doctor and support your body with our natural health products and vitamin supplements for vitamin and mineral deficiencies.